Mala is a cake that comes across as half-baked, which is sorrowful knowing that Banhart really wanted to have that cake and eat it, too. Devendra Banhart wants it both ways with his eighth album, Mala. On one hand, he's now on Nonesuch Records, which is owned by Warner Music Group, after a stint with the parent company on 2009's What Will We Be. So there's the expectation of trying to reach out to a wider audience and, one would assume, have the pressure from label executives to deliver a record that sells well and maybe, just maybe, have a hit single. (And, yes, I'm acutely aware that Nonesuch does take risks on chancier material – the outfit did release Yankee Hotel Foxtrot – but the majors have to recoup their money on their investment in some fashion, right?) On the other hand, Mala features a number of short songs in the one- and two-minute vein, harkening back to Banhart's earliest work on the indie Young God label, and the album was recorded on borrowed equipment and a tape recorder found in a pawn shop. Not just any tape recorder, mind you, but a Tascam recorder used to cut many a hip-hop record. ("Let's see how this technology would work for us," quips Banhart in a press release.) So there's a return to the somewhat hissy, analog sound of his earliest material, back when he was initially dubbed freak-folk or New Weird America, hardly the stuff that will necessarily get you a No. 1 single. So that all adds up to make Mala a bit of a puzzling release, one that might get listeners wondering what was going on in the artist's mind when he pulled this thing together. Naturally, as you might expect, the results are on the hit and miss side, with some things working well, and other things ... well, they could have been left on the cutting room floor. To put it quite frankly, Mala – an Eastern European term of endearment and a title that was inspired by Banhart's fiancée, Ana Kraš, a Serbian artist – is the kind of album where there are some very good individual songs, though you get the feeling they might have been better served on a compilation record or soundtrack, buffered by filler and failed experiments. If there's one thing Mala doesn't do, is cohere. However, for every song that registers and hits its mark, comes along a song that is an utter bomb. For instance, "Your Fine Petting Duck" is, on the surface, an interesting graft in combining '50s-style doo-wop with something that fell out of a New Order song – which sounds a bit better on the album than it might on paper. So what's the problem? Well, there is one and it is this: Banhart chose to duet with Kraš on the song, and, I hate to break it to Banhart, but his bride-to-be cannot hold a note. Some might be charmed by the amateurish singing, but the effect for me was akin to someone taking my fingernails and using them to draw concentric circles on a blackboard while I winced in pain. And the 90-second fragment "A Gain", which Banhart told Rolling Stone was inspired by Delta blues, is simply weightless and somewhat abrasive, and goes nowhere in its short run time. Then, "Für Hildegard von Bingen", the story of a young woman who lives in a convent but goes to work as an MTV VJ (do they still have those? ), is without a punchline or any sort of resolution. That would be the ultimate condemnation of Mala: it just seems utterly devoid of any sort of direction or thematic underpinning that would tie all of these disparate bands together. So with equal amounts killer and filler doled out, Mala is a cake that comes across as half-baked, which is sorrowful knowing that Banhart really wanted to have that cake and eat it, too. And while the major labels have, in the past, taken chances on outré art, Banhart seems a bit out of step in these somewhat recessionary times: you can't deliver a mid-to-lo-fi album to a major label subsidiary and expect the general public reared on the sugary pop of Katy Perry, Lady Gaga et al to just gobble it up. And while there might be an audience for Banhart's work of the weird, particularly those who have been following him along since the very beginning, that crowd, to use the term loosely, is probably very small – his records haven't even scraped the Billboard Top 100 yet – so he's probably doing few favours in catering exclusively to them. Mala simply shows that Banhart is uncertain as to how to meet the demands of being a major label artist, and the rewards that larger distribution can bring him, and is merely retreating into his own insular world. 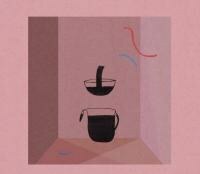 In the end, Banhart has delivered a spectacularly mediocre record, one that takes a few risks, but risks without a sense of adventure or destination. Mala might be the straw that breaks the camel's backs for the suits, and leave Banhart in the cold, hard world of the indies, where it can be tough to make a living. Still, Mala proves that Banhart is searching for his mojo, the thing that make him so endearing to critics and fans in the first place. I can tell you this much: simply recording on a pawn shop recorder is not enough, and is not going to bring the magic back. You have to have the songs, of which Mala only has a handful or a few. So enjoy that cake, Devendra. At this rate, it's going to go stale rather quickly and it may just be that some people are leaving the party a little earlier than expected.